Another one of Byblos Bakery's tremendous contributions to the Calgary community is through their school nutrition program. Almost 25 years ago, Byblos started introducing pita bread in school classrooms. By visiting classrooms and showing kids how to use pita bread to create a quick meal or snack, kids learned that pita could be a fun and healthy addition to their meal times. It's also popular because it is presented by a registered dietician. Not only do we teach about our products, but also how they can easily fit into a healthy eating pattern. The presentations are made to elementary classes, and are modified according to age group and the nutritional and learning needs of the age group. Healthy eating is an important focus in the classrooms and teachers are excited to help their students learn about healthy eating through this fun and interactive program. Getting the kids to try it themselves is a big part of the program. "When they see the food, they want to hear about it and try it themselves." In the last part of the presentation, kids assemble their own healthy snacks with Byblos pita bread that is provided. Schools provide the fillings, including options to accommodate the requirements or limitations of those on special diets, such as vegetarians. "We really make healthy eating fun for them,"
Teachers love this program as much as the students. "It fits into the curriculum wonderfully," writes one teacher. "It's a terrific hands-on, nutritious lesson that students remember." Another writes, "Very interesting, educational. There are fun, excellent and easy snack, lunch and dinner ideas." The program teaches that pitas can be part of any meal, no matter what time of day, and part of any lifestyle. Both children and adults can get ideas for fast, healthy meals from Byblos Bakery. 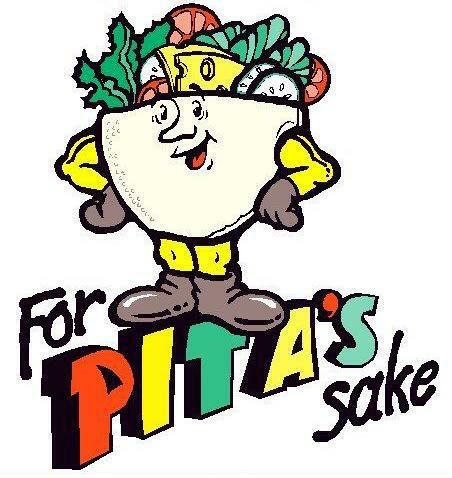 And with programs like For Pita's Sake showing kids how easy healthy eating can be, everyone wins. For more information go to www.foodimpact.ca, or contact Byblos.